Travel Insurance worth buying to save you! Like many budget-conscious travelers, I’m always hesitant about adding on the “extras” when planning a trip like travel insurance. Not only do these optional upgrades and fees add up, but I’m just naturally skeptical of being sold something that I “need,” yet wasn’t included in the purchase price. It will come as no surprise, then, that I’ve always found a way to skip buying travel insurance, even on solo travels and month-long adventures. However, finally hitting my thirties has forced me to start thinking more seriously about preparing for my travels. I am traveling more than ever, and I need to be more responsible about preparing for the worst. What I appreciate now more than I ever did before is that bad things can and often do happen on trips. There really is a certain level of calculated risk that is built into any trip, and the more exotic and off-the-beaten-path your trip is, the more real the risk becomes. When you’re in your twenties, it’s easy to roll your eyes at the concerns of friends and family while quenching your wanderlust. Half-price zip-lining at sunset in the jungle? Sure! Let your cab driver drop you off at the most authentic street food stand for some late night drunk grub? Sounds delicious. Take a tiny single-engine plane to an isolated island beach that is totally Instagram worthy? Dreamy. But the reality of life is that you can easily have an accident ziplining, get food poisoning from that stand, or get stranded on an island because the plane is malfunctioning. It’s not alarmist or lame to prepare for what might go wrong, it’s smart. After doing the math, there’s seriously no excuse to not protect yourself. 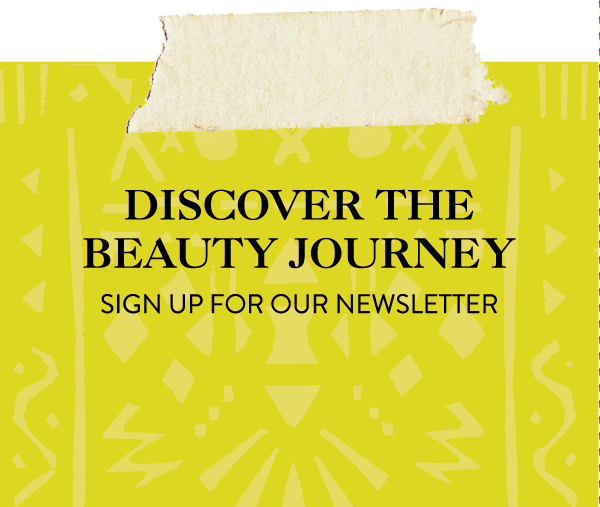 For example, on our upcoming beauty tour in 2019, the coverage is less than $250.00 for an entire month-long trip to Morocco. So read on to learn how to stay safe when something not-so-glamorous happens on one of your travel adventures. So what is travel insurance and why do we need it? If something goes wrong on my trip, or if my trip gets cancelled due to events beyond my control (weather, political climate, travel warnings, severe illness), without travel insurance, it would be a total loss. I could be stuck paying medical fees, perhaps multiple plane tickets to get back home, and would lose out on the money I had already paid for the remainder of my trip. Moreover, it would be a nightmare to fight to get any kind of meager reimbursement for any emergency needs. With my World Nomad travel insurance coverage (which costs less than the cancellation fee from some airlines), I can feel confident that whatever could happen regardless of where I am in the world I’m prepared. I first heard of World Nomads Insurance through Nomadic Matt. World Nomads Insurance is referenced by Lonely Planet and is regularly ranked as one of the Top Four budget travel insurance companies. It feels good to travel feeling secure, and I will definitely be letting my mother know about my coverage for her own piece of mind. What I love most about World Nomads Insurance is that they offer so much support before planning your trip to make sure you’re covered. They even have a list of activities (Bungee jumping, scuba diving, kayaking, etc) to make sure you’re covered. There are four types of coverage included in most travel insurance policies. They are there for emergencies or when something goes wrong. Every policy is different, so you need to read the fine print for whatever policy you choose. Depending on your desired level of protection, you can cover everything from lost luggage, a fall during a climb, eating something that gets you sick, or if you have a death/sudden illness in the family and need to return back home. Its made to help when an accident occurs that you or your wallet weren’t planning on. What do the different types of coverage protect against? If your trip is canceled or seriously delayed due to a natural disaster, illness, or the carrier goes out of business, you’re covered! Trip cancellation insurance reimburses you for prepaid expenses if the tour company you hired goes out of business, you have to cancel the trip because you or a family member gets sick or injured, or there is a death in the family, bad weather, or a natural disaster. This is usually the most popular reason people get travel insurance. In case of an accident, you are covered usually around $10,000-$50,000 for emergency medical care and evacuation. In addition, if you or a loved one dies on the trip or suffers a life-impairing accident (e.g., losing eyesight), this insurance feature pays out up to about $500,000, depending on the situation. Luggage Loss/Damage:If someone steals something valuable from your bag (a fellow travel blogger had her camera stolen), or your luggage is lost or delayed in limbo, travel insurance will reimburse you; usually up to about $500 per lost bag and $100-$300 per baggage delay. Flight cancellation:How many times have you been there? You booked your flight, you have your hotels prepaid, but days before the airline cancels your flight. With travel insurance, you can file a claim. Other than signing up for travel insurance, what else can I do to protect myself? Not just what you bring with you on your trip, but make sure to hold onto receipts. Also hold on to pictures of any souvenirs you buy. If something is damaged or stolen, do your best to get a police report. It will help expedite settling the claim. If you fall ill — whether it’s a major accident or stomach bug — try to document as much as possible. If you are unable, have a travel companion document it for you. Be sure to call your doctor, family members at home, and insurance company as soon as possible into the medical event. Also, be sure to keep any paperwork, from hospital bills to receipts for over-the-counter medicine from the local store. If you’re drinking when the incident happens, most insurance policies are not going to cover you. Drinking impairs your judgment, and can lead you to do things you wouldn’t dream of doing sober. Especially if you are solo traveler, be sure to carefully monitor your drinking and who you’re drinking with. If you do plan to drink while traveling solo, document as much as possible, and keep any receipts from bars. Your insurance company will do its research to make sure you weren’t under the influence. Read your policy: I cannot stress this enough. You want to really understand what the company is covering and what they are not. And if you’re unsure, email or call them! Covers lost, damaged, or stolen possessions like jewelry, baggage, documents, cameras, etc. most companies only have a small limit, usually up to $500 USD, as part of their basic coverage. You can often buy supplemental insurance to get a higher amount of coverage. For instance, Clements Insurance offers special coverage for your electronics. Prices vary depending on the country you visit ($145-195 per plan). Moreover, many regular and home insurance companies such as State Farm offer plans that can help you cover your electronics. Be sure to check if you find a travel with a lot of gear! My camera was covered because it is an affordable option. If you have an expensive DSLR or lens, get supplemental insurance! It will be worth it! Why is World Nomads Insurance so great? First, they make everything super easy. It can all be done online, and you can email them with any questions and their support team will get back to you within 48 hours. They’re supported by 24-hour assistance services to help and refer for medical emergencies, and to provide transportation, and/or get you home. They will get on the phone with you and help located medical facilities, that include local physicians, dentists, and, if needed, escorts to get you to a safe place. I hope this post empowered you rather than scared you. Travel insurance is something that you hope you never have to use. But you are so glad to have if you ever need to use it. We highly recommend insurance for our beauty journeys. We also recommend to print out a physical copy of your policy to carry with you while traveling. You just never know — better to be safe than sorry! Happy (and safe) travels! Use our link below to get a quote and also help us grow by using our affiliate link.